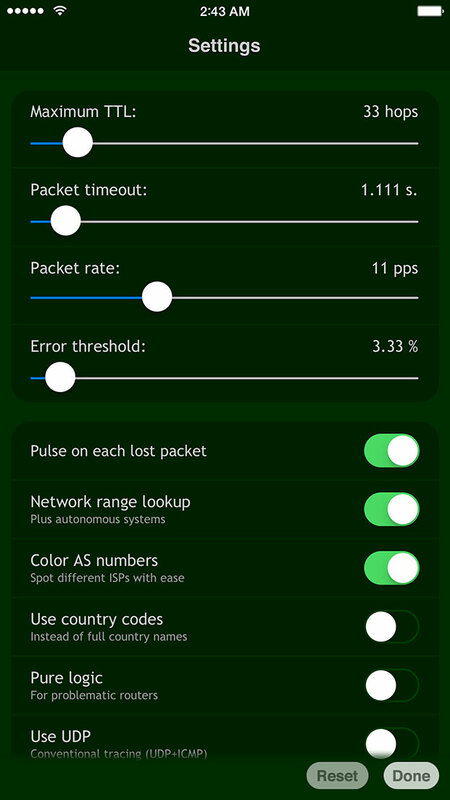 Nice Trace is truly the most advanced traceroute app for iPhone, iPad and iOS — unlike many other poorly designed apps simply copy-ported to iOS, Nice Trace is built from the ground app, specifically for the platform, using high-load optimized network technologies and stable, mature codebase. 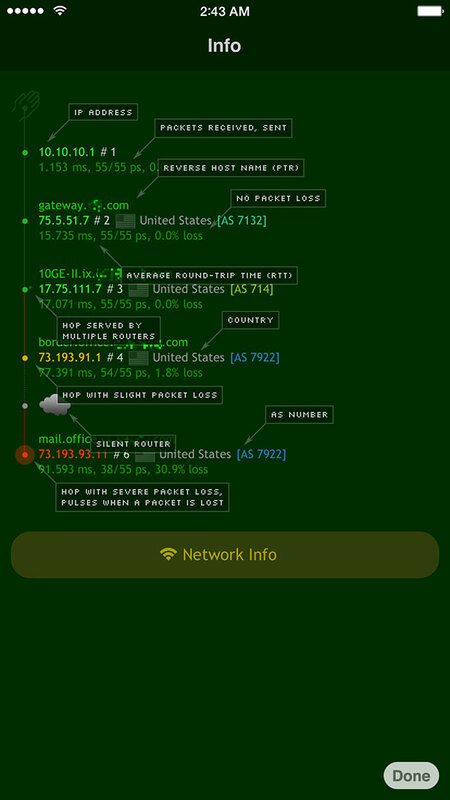 Nice Trace traces the route to the host in the Internet using graphically nice style and animations. Then it continues to monitor the whole path to the network resource in real-time driving your attention to possible bottlenecks and network problems if any. Using a specially designed asynchronous algorithm it faster passes through problematic hops not hanging on them thus helping to reach the destination host faster. So, when there is an unhealthy node in the middle of the network path, you won’t have to wait for long. 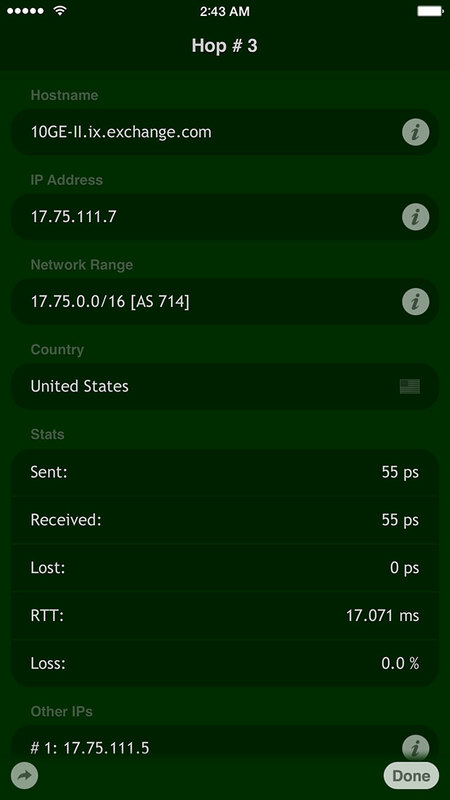 In addition to the state-of-the-art tracing, Nice Trace comes in with the most advanced WHOIS to date. It looks up info in all databases for all domain zones, all IP address spaces and all autonomous systems. Thus, as a powerful and handy network exploration tool, Nice Trace allows getting much more info about every node in the network path far beyond simple tracing.